I woke up early this morning to catch a fast train back to Rome. It only took about 1.5 hours, and I didn’t want to waste my entire morning by sleeping in (although there’s no denying that I was very sleep-deprived at this point). After arriving at my hostel, I gave myself some decompression time to regroup while I figured out where I could most optimally spend my day. 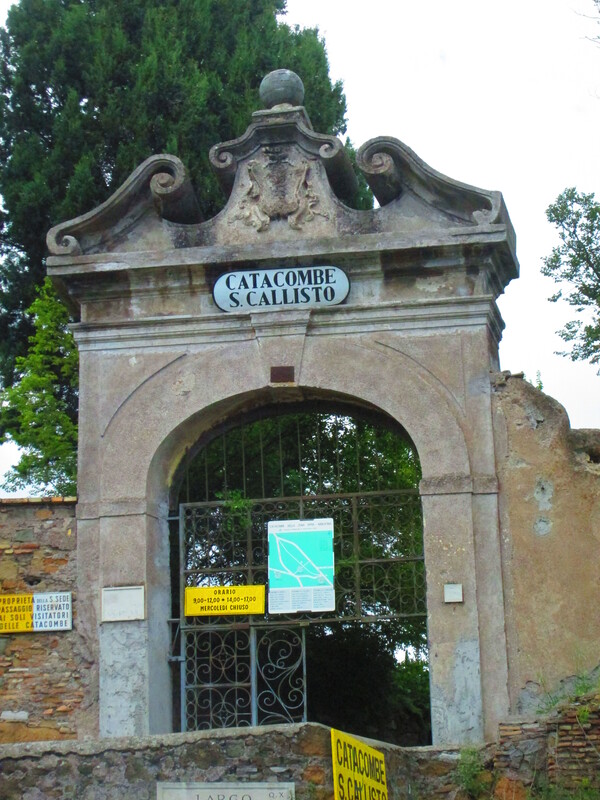 My first stop was the Catacombs of Callixtus, it is an underground graveyard that is 20 km long and occupies 15 hectares. The tomb got its name from the belief that it was created by Pope Callixtus I, a deacon of rome, by enlarging early pre-existing Christian hypogea during the 2nd century. It was continuously used for burials through the 3rd and 4th centuries. As the years passed into the 9th century, the crypt suffered from disuse and decay as it was subject to enemy ransacking and the relics were translated to the various churches of Rome. 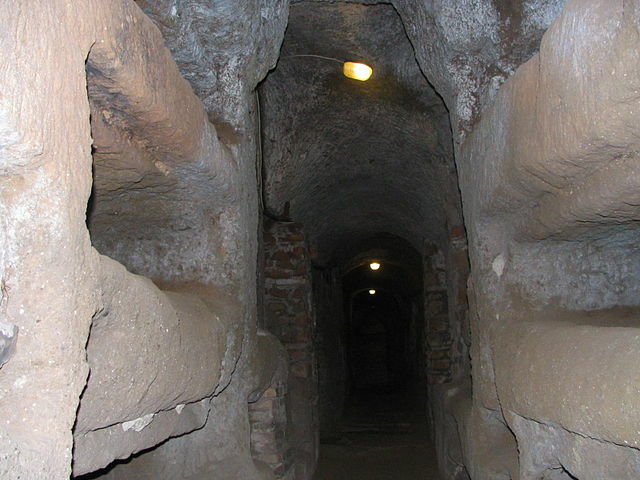 The catacombs are best known for containing the Crypt of the Popes as this site held the remains of 16 popes and 15 martyrs. It was a little creepy walking through these arcades. You could see the narrow niches that had been carved into the bedrock, and imagining oneself lying in those small spaces was quite, gruesome. It was a true maze, and it’s terrifying to consider the possibility of getting lost in the cold, damp, passages. 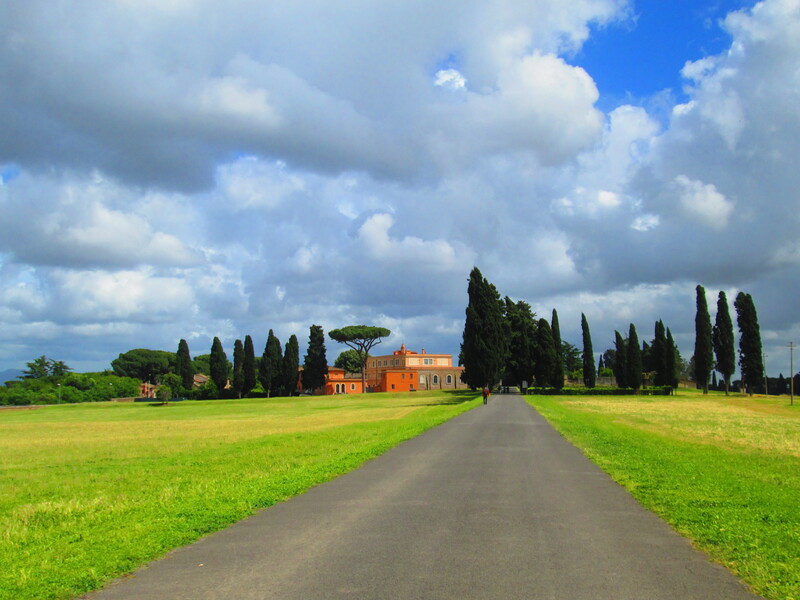 From there, I strolled down Appian Way, one of the earliest Roman roads of the ancient republic. It was strategically important in that it connected Rome to Brindisi, Apulia, in southeast Italy. 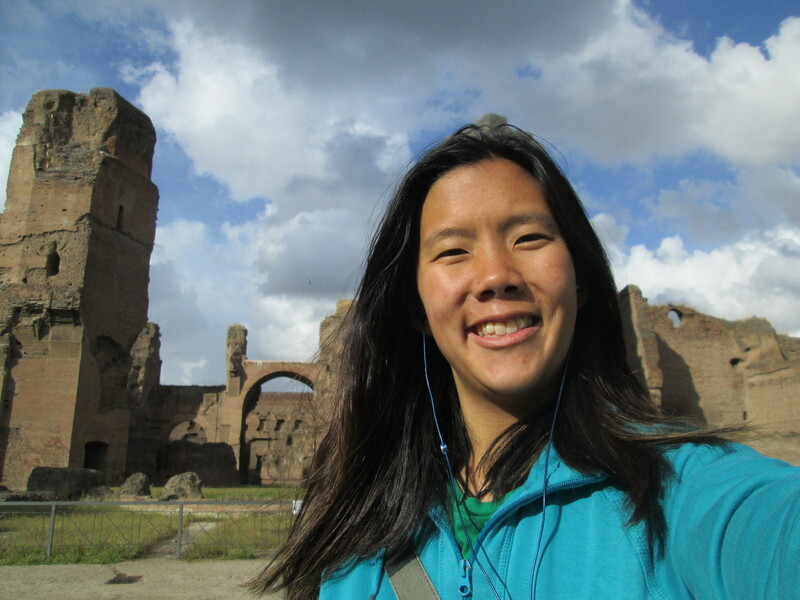 At the beginning of Appian Way, lies the Church of Domine Quo Vadis. The small building lies on the site where, according to the legend, Saint Peter met Jesus while the former was fleeing persecution in Rome. The presence of St. Peter is confirmed by an epigraph in the Catacombs of Saint Sebastian that reads Domus Petri (House of Peter). It is here, that according to the apocryphal Acts of Peter, Peter asked Jesus, “Lord, where are you going?” (Domine, quo vadis?). Jesus answered, “I am going to Rome to be crucified again” (Eo Romam iterum crucifigi). 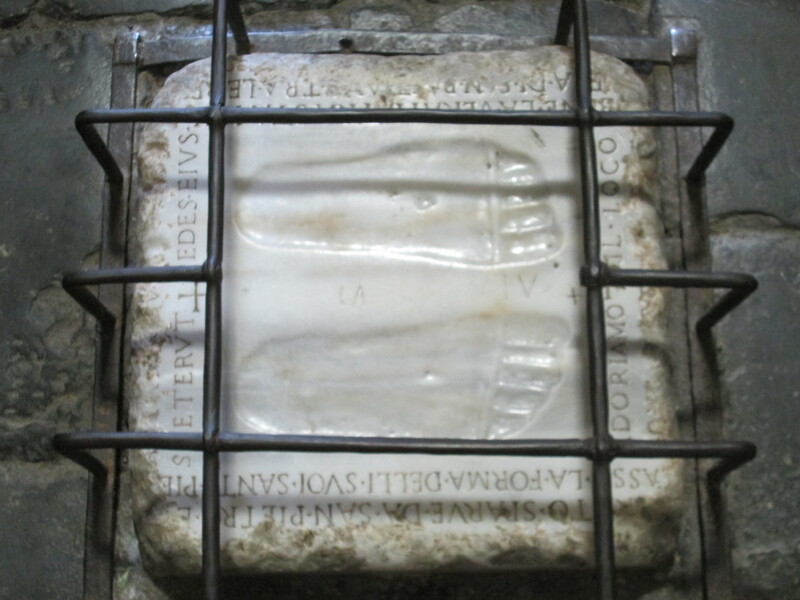 On a marble slab in the center of the church, are two embedded footprints. They are believed to be a miraculous sign left Jesus. 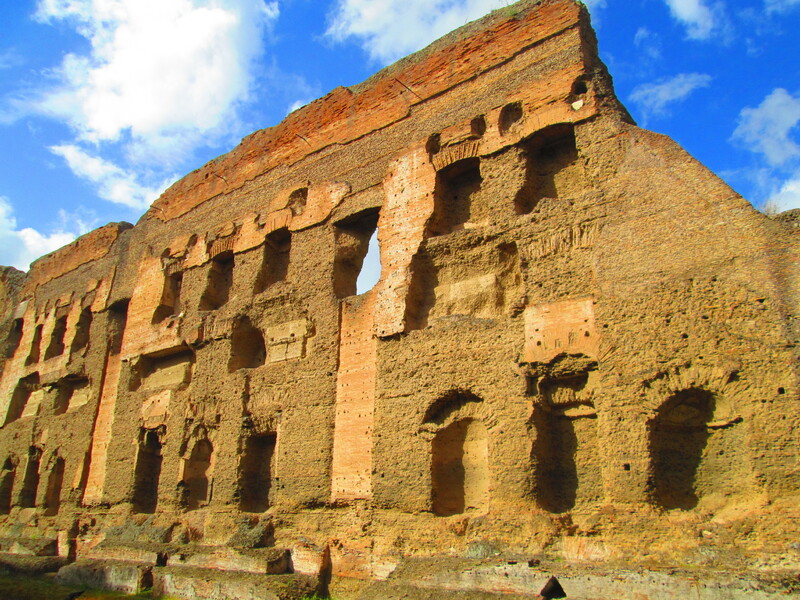 The final stop of the day were the Baths of Caracalla, the second largest Roman public baths built between AD 212 and AD 216 during the reign of Emperor Caracalla. A slightly longer construction period between 211-217 AD is provided by Chris Scarre. To meet this constricted deadline, over 2,000 tons of material would have had to be installed every day over a six year period. 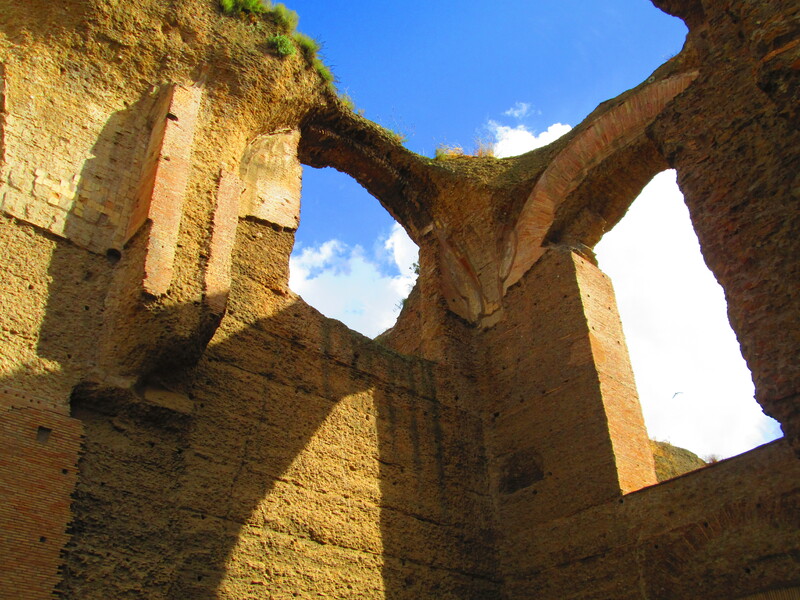 Historical records show that the idea for the baths were drawn up by Septimius Severus. A complex hypocaust system burning coal and wood beneath the ground was utilized to heat the water that was provided by a dedicated aqueduct. I would have loved to experience them at the peak of of its life. Can you imagine having a FREE spa experience in this huge architectural complex? What is your favorite relaxation activity?